Every 75-115 horsepower Mercury FourStroke is built to deliver long-term reliable performance. Our fully filtered air intake protects internal engine components from potentially damaging dust and sand, while our advanced antidrainback oil system assures instant lubrication on start-up. In addition, the use of shared Verado components ensures the ultimate in mechanical toughness and reliability. The 75-115hp FourStroke models feature the same valve train architecture as Verado – a robust design that is incredibly durable and maintenance-free for life. 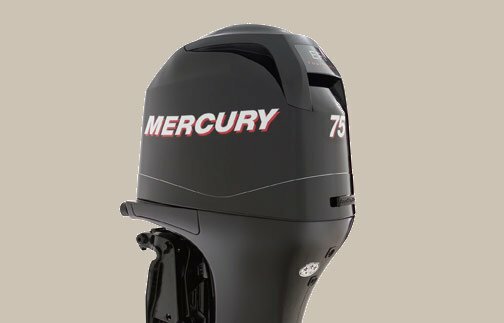 Mercury FourStrokes deliver powerful saltwater protection by using stainless steel components, hard anodizing, engineered polymers, and an exclusive multistep painting and coating process. Saltwater maintenance is made easy in the 75-115hp models with the innovative freshwater flush. And only Mercury offers a three-year limited corrosion failure warranty.